This is one page that can be used as a whole class activity or small group. 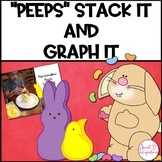 Students will total the number of peeps given then graph them. There is also a spot for most, least and favorites. This is also great tallying practice. 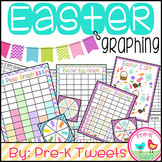 Color, Tally, and Graph Pattern Blocks - Easter Peep Style! 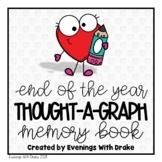 Also included in: Color, Tally, and Graph Pattern Blocks Year-Long Bundle! 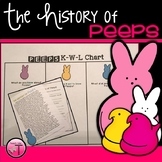 Practice creating a bar graph by counting the number of each color of Peep and graphing them! A fun way to incorporate the holiday into your data lesson! See Count Graph: April Edition! 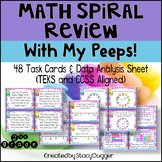 Also included in: Counting And Graphing! See Count Graph BUNDLE! 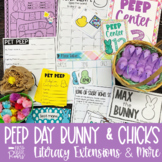 What's the PEEP all about? 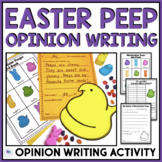 The Peep Projects includes: Whole Class Activity: Hunt for the Peep Pilferer & Graph Individual Activity: Pick a New Peep Family Project: Save the Peeps! Check out the preview to see every page included! 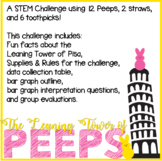 Peeps Steam is a great way to integrate science, technology, engineering, art, and math. 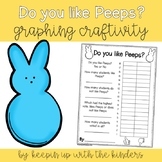 Included activities are graphing, patterns, pictographs, measuring, STEAM, disguise a Peep and more.